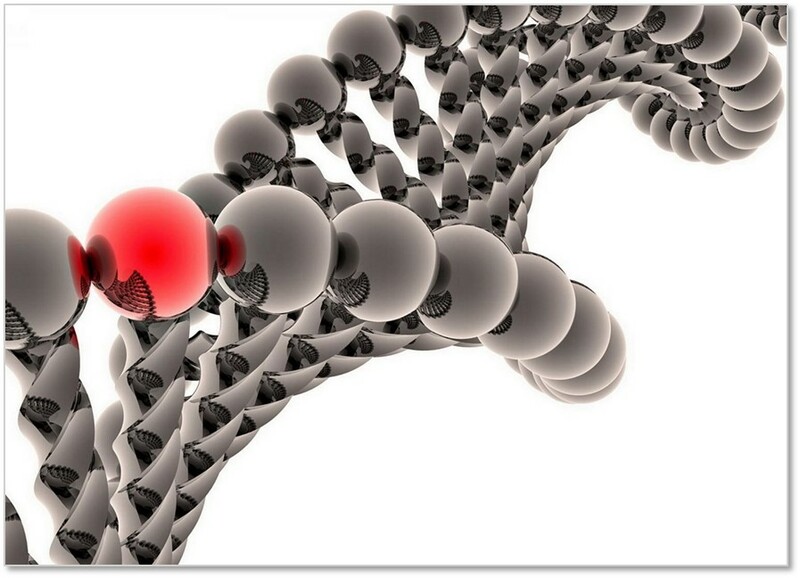 β-Galactosidase Assay Kit: Red (CPRG) Highly sensitive, uses the red substrate chlorophenol red-β-D-galactopyranoside (CPRG) to determine β-gal expression levels. The CPRG kit is ideal for conditions in which β-galactosidse expression levels are low. β-Galactosidase Assay Kit: Yellow (ONPG) Measures development of the bright yellow substrate o-nitrophenyl-β-D-galactopyranoside (ONPG). The ONPG kit provides a quick method for quantifying β-galactosidase expression in cultured cells. X-Gal Staining Assay Kit: Designed for sensitive and low-background visualization of cultured cells or tissues containing cells carrying the lacZ gene that codes for β-galactosidase enzyme. Cells transfected with a β-gal-expressing plasmid appear blue* under the microscope. *The β-galactosidase enzyme catalyzes the hydrolysis of X-gal (5-bromo-3-indoyl-β-D- galactopyranoside) yielding 5-bromo-4-chloro-3-hydroxyindole which spontaneously converts into 5,5'-dibromo-4,4'-dichloro-indigo, an intensely blue insoluble product. 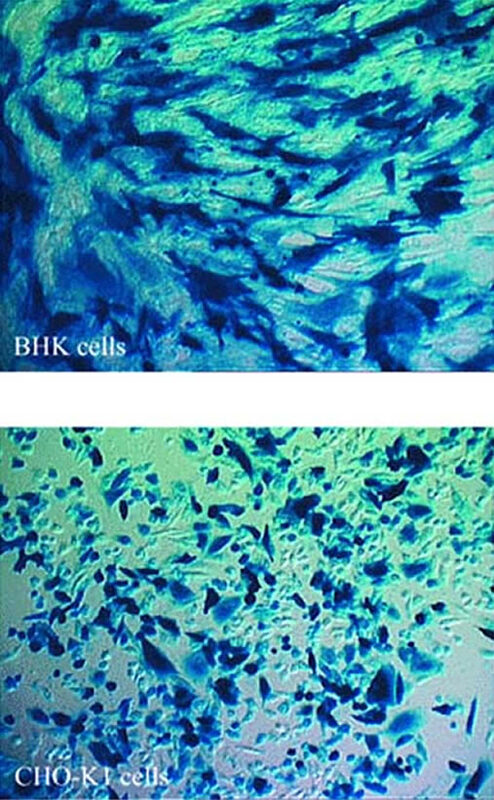 (Click to Enlarge) Beta galactosidase (β-Gal) staining in BHK and CHO-K1 cells.